The post-1945 world order is coming to an end, in no small part because of Vladimir Putin’s successful use of hybrid war, one of whose “most important components” is “the export of corruption” in the form of enormous amounts of illegally obtained money and the values underlying it, according to Arkady Babchenko. “The world is changing,” the Russian commentator says. The post-1945 settlement is coming to an end and the world is moving toward war. “I fear that we are entering into an era of new global changes and a re-division of the world order,” in large part because of Putin’s hybrid wars and use of corruption. 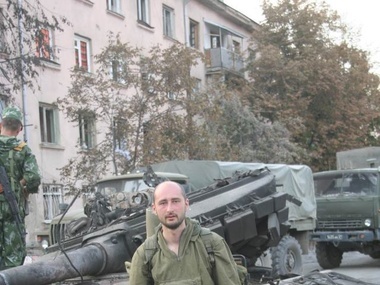 At the present moment, Babchenko says, “Russia has again taken the course toward imperialism and again transformed itself into a xenophobic and aggressive imperialist country, only this time for the achievement of its goals, it is using not tank divisions but the subversive influence” of corrupt Russians who travel to other countries on a regular basis. “Unfortunately, Western democracies still can’t understand with whom they are dealing, what the new challenges to them are, and what Putin’s Russia of the 21st century in fact represents.” And so Western businessmen and politicians continue to play with a con man who doesn’t play by the rules and uses the restrictions others place on themselves against them. Russian opposition figures have told the West again and again what it is up against, but they haven’t been listened to. Putin’s regime has no respect for any rules or for truth and is quite prepared to subvert both not only at home but abroad in order that its approach to the world will spread to others, ultimately defeating them in the process. “Freedom of speech is an instrument for the democratic organization of society, and it consequently works only in democratic society as the most important instrument of public influence on the powers that be; but in authoritarian societies, it is transformed into an instrument of propaganda” so that the powers influence society but not the other way around. “Democracy,” he continues, “is a mark of a mature free society,” but “the sign of an authoritarian society” and the goal to which all authoritarian regimes work “is infantilism,” first among their own people and now using various “hybrid” techniques among others so as to destroy democracy. Those in the West who attempt to speak “with such regimes with the language of democracy” fail to understand that authoritarian regimes like Putin’s view that as a sign of weakness. They only understand force, and they must be countered quickly before they are in a position to advance anywhere. That is especially so if your opponents allow you to get away with this. “Now in Russia and not only in Russia but across the entire post-Soviet space, the term ‘kleptocracy’ has been adopted. The power of thieves and the corrupt. This is a very precise term. Kleptocracy has become possible precisely thanks to that infantilism” the regime has promoted and the unwillingness of the West to challenge it. “But what is still worse,” the Russian analyst continues, is that Moscow has been able to “export” this approach and use it to pervert and subvert others. The West needs to wake up and begin asking questions rather than looking the other way as Putin and his corrupt world destroy it step by step. Above all, people in the West must understand that “the corrupt erosion” of democracy and honesty “is not simply about theft and money laundering … It is now and if you will already in the first instance a case of hybrid war.” The West must be prepared to fight it, and the first step in that direction must be a recognition of this reality. Unfortunately, that has not yet happened; hopefully, Babchenko suggests, it will happen before it is too late. Russian-American Dialogue: Cooperation or Blackmail?